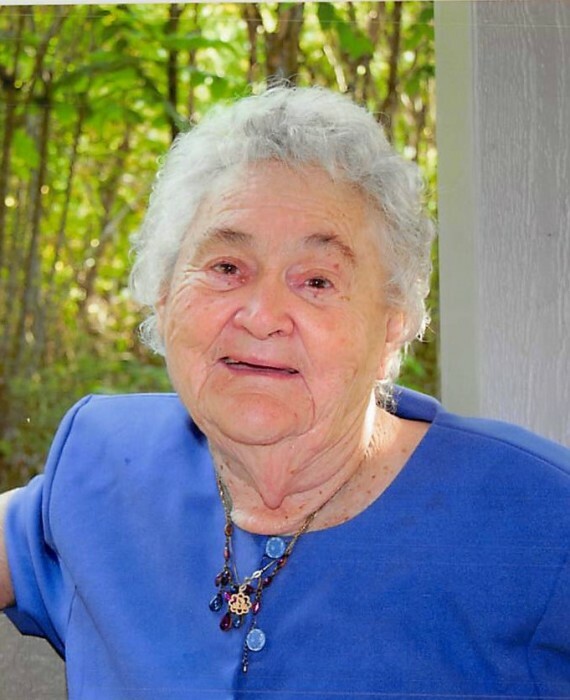 Ruth Agnes Carter Mason of Liberty, Kentucky passed away on Saturday, August 25, 2018 at the Casey County Hospital. She was 87 years of age. Born March 13, 1931 in Casey County, Kentucky, she was the daughter of the late Everett and Minnie Eunice Latham Carter. Ruth was a homemaker and a member of the Old Time Independent Baptist Church. She also attended Casey County Adult Day where she enjoyed playing bingo. Ruth also loved to work puzzle books. Survivors include one son, Ron Mason of Cincinnati, Ohio; four daughters, Sharon Close of Campbellsville, Lois Jean Eads of Liberty, Karen Mason of Yosemite, and Angela Mason of Liberty; two brothers, Ronnie Carter and Billy Carter, both of Edmonton; one sister, Mary Poff of Liberty; sixteen grandchildren; and numerous great-grandchildren and great-great-grandchildren. In addition to her parents, Ruth was preceded in death by her beloved husband, Chester Mason, who passed away August 8, 2001; two sons, Jack Mason and Paul Mason; two daughters, Elsie Davis and Shirley Wagner; four brothers, Earnie Carter, Elmer Carter, Robert Carter, and James Carter; and four sisters, Violet Crew, Berniece Propes, Vina Carter, and Dollie Patton. Funeral services are 2:00 P.M. Wednesday, August 29, 2018 at McKinney-Brown Funeral Home with Brother Ricky Rodgers officiating. Burial will follow in Mason Cemetery. Visitation will be held 6:00-8:00 P.M. Tuesday evening at the funeral home. Ruth’s funeral arrangements are entrusted to McKinney-Brown Funeral Home with an online guestbook available at www.mckinneybrown.com.